The biggest problem I have with this one is the reliance on Fish as the primary protein source. I simply hate nearly all fish. Salmon will never cross my lips. I literally wrench at oily fish. I might try to sub out turkey or chicken, perhaps even venison for the lean protein. My wife and I both weigh in at just over 300 lbs. I am a diabetic, and my blood sugars keep staying on the “too high” side. Is there any way you could help us? Try the keto diet…it is built for diabetics. Remove all the foods we did not evolve to eat…sugars, starches and beans. They all quickly convert to sugar. I’ve lost 20 lbs and my wife, with diabetes, has lost 70 lbs. The diet involves intermittent fasting…again a part of our evolution. Dr. Ken Berry and Dr. Jason Fung are two physicians who are well qualified to speak to this. I feel much better without the 57 types of sugar added to my foods. the mayo clinic diet really works if u stick with it and exercise.itsnot a quick fix its hard work but you can do it. i was 276 pouhds when i started 90 days ago. now im 232 im down 44 pounds i have 72 pounds to go to my goal and iknow ill make it to 160 pounds because it works.dont give up keep going and believe you deserve it. I am 297lbs., a size 22/24, 30 years old and about 5’8″ and I’m getting married in 6 weeks…I eat healthy…NOW, but just haven’t been motivated to exercise. I joined a ZUMBA class yesterday to attend twice a week, and I have a wedding workout that I have no choice but to stick to it so the race to a better, healthier, happier me has already begun! PLUS, I have a WII that has been collecting dust since Christmas! My father bought my dress one size smaller and I promised myself that I would fit into it with NO ALTERATIONS, because it was perfect in my eyes the first time I saw it. I’ve done this diet before, lost approx. 20lbs and fell backwards about 5 years ago, but I want to glow on “our” wedding day, and we both want to be healthier so that when we have children, mommy and daddy can keep up with them! My fiance is approx. 300lbs as well and we are both going on this diet starting July 29th for 30 days until SHOWTIME and then we will take our lives back and do this thing FORREAL!! Wish us luck…I know we can do it…we want to spend a lifetime together and that starts today! Prayer makes things happen, send’em up and stay inspired everyone! We can all DO IT! one 3oz pork chop = 3 portions of meat….each oz is a portion. So if you have 2eggs scrambled with i slice cheese and on bread with 1 slice deli ham and a glass of milk (2%) you already have used 4 meats, 2 starch, and 1 dairy on the pyramid scale… The trick to success is to plan each meal for the day and stick to it! Keep a log on how many of each portion you want to eat and stick to it! Exercise daily even if it is only short 5 minute walks (inside or out) and stick to it! Did you notice I said to STICK TO IT 3 time? Well good luck with all of you who are dieting! I am with you on this all the way! Knowledge is the key to success. I weigh 275lbs and I am very concerned about my health since most people in my family are overweight and have died at young ages including my parents. My sons try and push me everyday to lose the weight, I join gyms and give up, I walk and give up. I want to try this diet. I am going on vacation in the beginning of July can u please help me by sending me the diet plan. Also do I need to work out daily and if so how many days and how long? PLEASE HELP ME!! The sample diet you posted doesn’t really have anything to do with the food pyramid above it… Shouldn’t each meal include a 2-4 whole fruits and more veggies, since they are unlimited, and minimal amounts of everything else? You have PANCAKES for crying out loud, let alone pasta. The sample meals look more like unlimited grain based carbs, minimal fruits/veg. It’s going to give people diabetes! 2 apples, 2 oranges, bowl of veggies[spinach, carrots, onions, peppers, cucumbers, etc..], a few nuts, and maybe 2-3 oz lean meat if you can stomach it. so much fear of failure and dont know why.. I did the old mayo clinic diet 8 years ago and lost 23 lbs in 6 weeks and kept it off for about 7 years. after the very strict diet of only eggs, bacon,salad, meat or fish and veg’s also 4oz of grapefruit juice at each meal for 12 days on 2 days off and again for 12 days.After I lost the weight I started to introduce small amounts of crabs such as for my breakfast ate berries apposed to fruit stayed away from sweets and breads.It became a life style.I fell of the wagon about 2 yrs ago and gained 10lbs eating everything I could get my mouth on LOL… so I started the 12 day diet again. wish me luck! i am about to start the diet on monday i heard that you can drink whiskey on the diet is that true? Any diet that includes healthy carbs, fruits and vegies will work if you stick to it and watch your portions(portion control is the key in any diet. Also how the foods are prepared is very important-staying away from fried foods also helps. Hello Erica everyday I come on this site to see if you have answered. Please Erica I pray god that you one day you will be in my email add. If someone know Erica tell her many people are inspired by her testimonials and her willpower to shed all that kgs. Please share with all the xxxxl sizes. i have gained about 10 pounds since i stopped breast feeding. i am so ready to start this diet. wish me luck..
Also, I have hypothyroidism (Hashimoto’s Disease)… How does this affect my metabolism and ability to lose weight? I have gained 40 pounds in two years since I have been diagnosed with this disease. I do not eat sweets and do not enjoy eating fruits of any kind. I do not cook. Making pancakes in the morning would be ridiculus for me. Also, you do not address the role alcohol plays in this diet. Please explain how that fits in because my job involves tasting hundreds of wines per day. i decided to start this diet on saturday 23rd january anything that will let me loose the weight Lol!!! vegetables is not one of my favorite but i will eat it for this wonderful cause and trust me i will excerise. 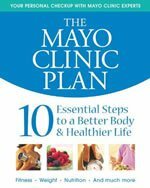 The supposed mayo clinic diet that isn’t real is the only diet that has ever worked for me so how can it be fiction. I recently got back on it and i’m loseing wieght. I was only ever on it one other time when i was younger. I’m confused what’s so wrong with it? I am ready to try this new way of eating, please send any information that will help jump start a new year weight loss. This is a good diet.I have had it for years, it works perfect for me. i at nuts when i did before and seeds within my first five days and still lost accordingly and yess i ate ketchup are any of you still doing it and how is it going i started back after christmas? So, I just started the Mayo Clinic “fad” diet. Can you have mustard, mayo, ketchup? what are some good ideas for meals? can you have nuts and cheese on this diet? ?